This special Midnight Edition pocket-sized notebook 10 Pack combines durable black covers and black staples with your choice of blank, lined, or dot grid page styles. 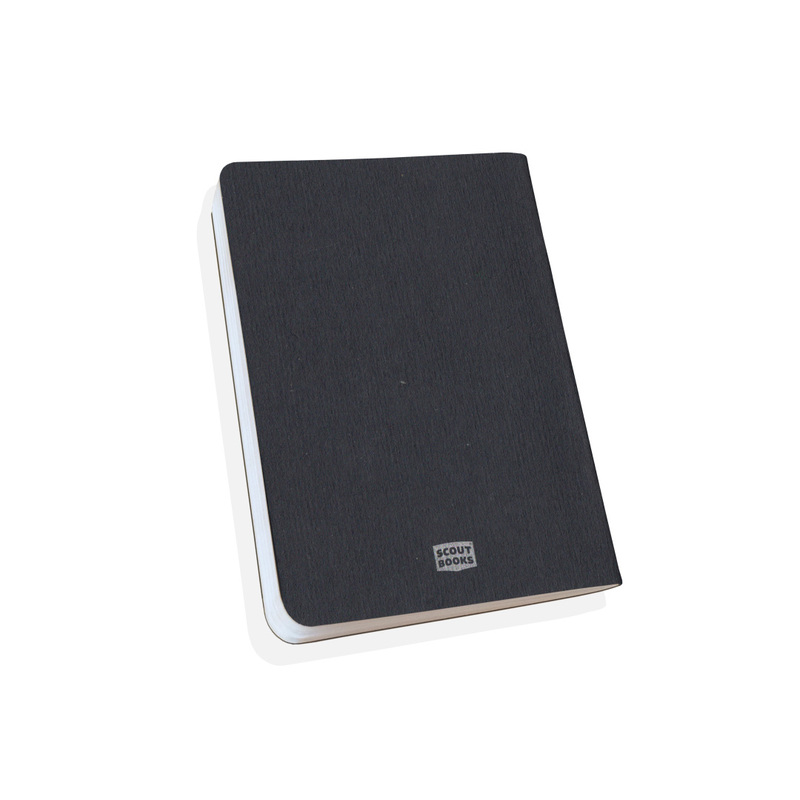 These little black books are perfect for late-night note taking when good ideas are tiptoeing through your dreams. Scout Books are Made in the USA with 100% recycled papers. Each notebook is made with our unique black cover and black staples, measures 3.5x5in, and includes 32 white pages with your choice of blank, lined, or dot grid page styles.